While you may have the ability to drive, know your limitations. It’s for your protection & safety. Aging adults often fear losing their independence, and the ability to drive is at the top of the list. 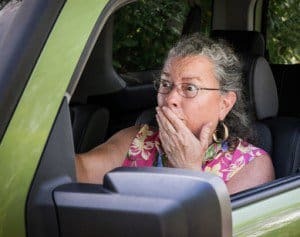 According to a poll taken by the American Automobile Association (AAA), 85% of all seniors fear losing their driving privileges. However, this does not necessarily need to happen to you. Under the right conditions, it may be possible for some seniors to drive safely well into their 90’s. The key to continuing to drive successfully lies in your ability to take note of the changes in your body over time and adjust your driving style accordingly. Read on for some tips that will allow you to maintain your driving privileges safely. Manage your health. If you have any chronic conditions which could impact your ability to drive, such as a seizure disorder or diabetes, it is very important you receive the necessary medical care to manage your health. You should follow your doctor’s instructions regarding driving safety to the absolute letter. Additionally, if you are taking any medications, including over-the-counter drugs, talk to your doctor about any side effects which could impair your ability to drive. Something as seemingly harmless as an allergy pill can make you drowsy and impair your ability to operate a vehicle. Have your hearing and vision tested regularly. It’s an unfortunate fact that as we get older, our hearing and vision will naturally decline. These changes can happen slowly over time, to the point where they may be imperceptible to you, but will be noticed by a doctor. Since both of these senses are crucial to your driving ability, it’s important to know if you are experiencing issues severe enough to require treatment. Stay physically active. Doctors already recommend you do this for your overall health, but you may not realize it’s important for your driving abilities as well. Exercise improves your flexibility and strength. Over time, it will help you maintain your ability to easily perform driving maneuvers such as looking over your shoulder and turning the steering wheel. Choose optimal driving conditions and know your limitations. Understand that while you may still be able to drive, you may not be able to drive safely under all conditions. For example, you may choose to avoid driving in inclement weather due to the additional risk, or decide to no longer drive at night due to poor visibility. You should also perform a self-check before getting behind the wheel to determine if you are fully prepared to do so. If you find that you are feeling tired, sick, or emotional, you should opt for public transportation instead.